Sugar is pretty much the worst food we can eat. On top of that, it is addictive and extremely prevalent. We are hardwired to crave sweet foods for the quick energy they provide, but this is a throwback to ancient times when sweets were very rare. Now, nearly every breakroom in this country has sugary temptations on a regular basis. Not to mention the entire grocery store aisles dedicated to cookies and sodas. With all of this abundance of sweets, the average American ends up eating 22 teaspoons of sugar daily, which represents 355 calories. How is sugar bad for us? In addition to the obvious concerns like diabetes, sugar consumption can throw off our cholesterol. People who eat more sugar have higher triglycerides and lower HDL cholesterol, the good cholesterol. Eating sweets can dramatically affect our dental health and may suppress our immune system. Some researchers are also linking excess sugar consumption with dementia, describing dementia as diabetes of the brain. Finally, sugar can feed harmful bacteria and yeast, such as candida, in our digestive tracts. This imbalance of gut bacteria can have tremendous negative consequences on our health including reduced ability to get rid of toxins. So how do we fight the sugar monster? First, I try to figure out if there are any health issues contributing to sugar cravings. These can be things like insomnia, hormone changes, unstable blood sugar, stress, and brain chemistry imbalance. In addition if we have harmful bacteria and yeast overgrowing in our gut, they can release compounds to make us crave their favorite food: sugar. As well as addressing any of these areas that might be an issue for you, come up with some strategies to help banish the sugar fiend. First, don’t keep sweets in your house or keep them in the garage or somewhere else where they are out of sight, out of mind. I have found it helpful to try to go cold turkey with sugar. The more I avoid it, the less I want it. Of course, I still crave sugar sometimes, often after a meal. Sometimes, brushing my teeth does the trick or I will tell myself wait 30 minutes. The craving will often pass in that time. If my sugar cravings persist, I will eat something else like fruit, in moderation. Or I have a small amount of a xylitol or stevia sweetened treat. But don’t choose artificial sweeteners like splenda and nutrasweet, as these cause other problems. 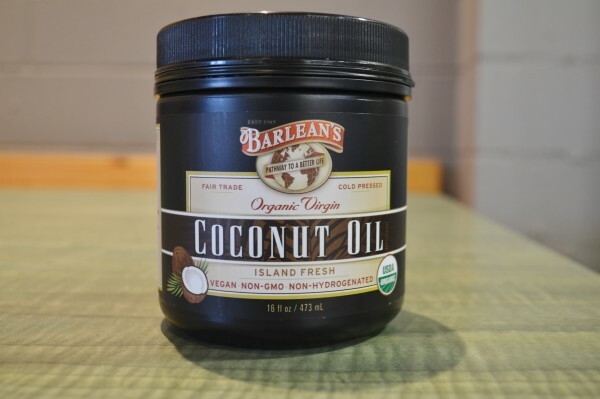 Some people notice that a spoonful of coconut oil a few times a day significantly cuts their sugar craving. Others find that amino acids, such as glutamine or tryptophan, help them out, especially if they have mood issues. And if it is time to actually have some sugar, do it in style. Choose a high quality and lower sugar treat such as a part of a very dark chocolate bar. I feel like I could go on and on about this topic since I tend to have a sweet tooth myself. But the simplest message I could share with you is start cutting back on sugar in any way you can. Small steps are better than no steps. This entry was posted in Health and tagged coconut oil, cravings, diet, nutrition, sugar. Bookmark the permalink. Thanks Dr. Laurel. I am co-facilitating a class on Depression and the use of aspartame in sodas being so detrimental. I also have a Sweet Tooth and cold turkey is the only way for me. Literally a spoonful of the oil? Yes, I put a spoonful of coconut oil straight in my mouth. I actually like how it tastes.